Sphere of influence: Destruction, Calamity, Natural disasters, erasing of the old, Rebirth, honor, battle. 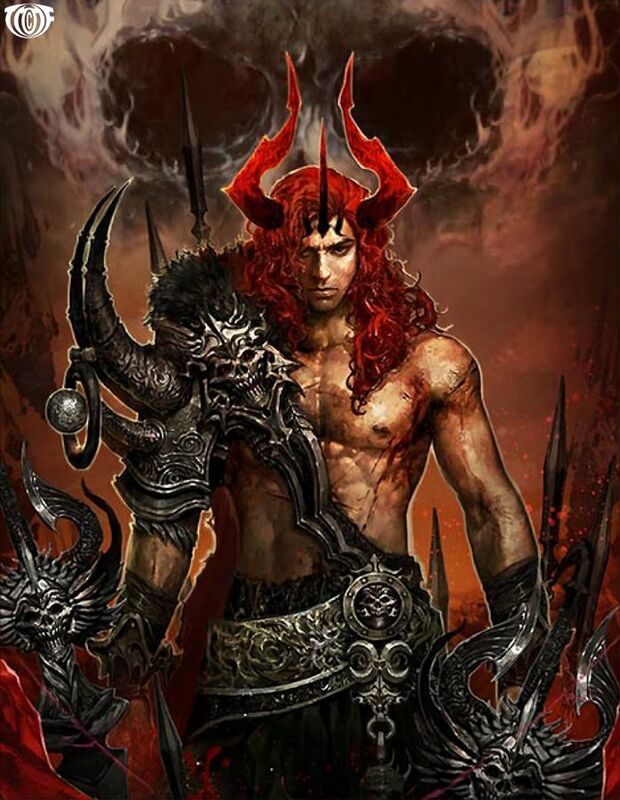 Description: Raziel is a humanoid male that stands about 7' even with long crimson hair. Born from the first Lord of Hell, Daphimael, Raziel was raised to be a weapon and is the first of his line to ascend into godlyhood upon beating the previous god of destruction on the eternal battle field. As the Daemon god of destruction Raziel has several abilities that revolve around such concepts. Though his size and power levels are dependent on the form he takes his over all abilities are generally within the same sphere of influence with moderate changes. Special ability: As the Daemon God of Destruction, Raziel is fueled and powered by such acts. The greater the act of destruction is, the more power he gains from it and the stronger he becomes. As the god of destruction Raziel possesses extreme strength, speed, and endurance. However, these are the most base of abilities.